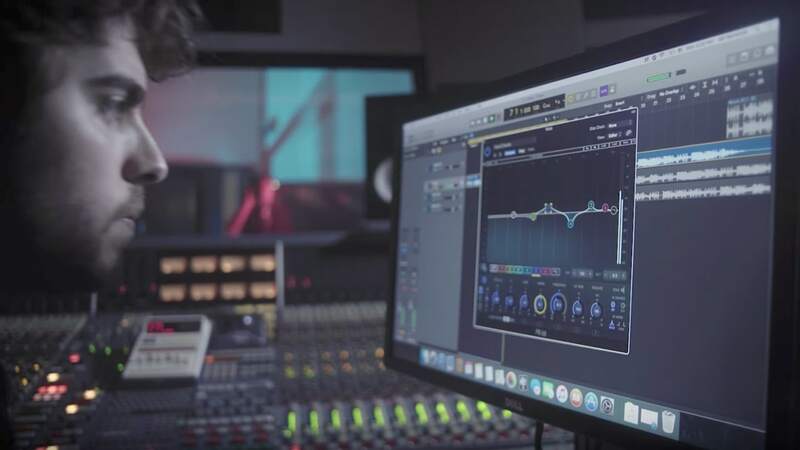 In this article, we’ll look at the top ten tips for applying equalization during mastering – the final stage music passes through before being released to the world. Mastering is the final stage any piece of music passes through before being released via streaming or physical media – the last chance to add professional polish to a recording and make it appealing to the listening public. In practice, effective mastering is all about skill, experience, and having the right tools at hand. Equalization is one of the primary weapons in the mastering arsenal, where it is used to add warmth, “air,” and tonal balance. EQ can also be used to correct problems like overly loud frequencies that pop out and overwhelm the rest of the mix. Trying to master while listening through inaccurate speakers in a room that is not acoustically treated is like attempting to paint a picture while wearing dark sunglasses covered with grime and smudges. If your speakers are bass-light, you will naturally tend to boost low frequencies, which will make the final product boomy when listening on other systems. Conversely, if your listening space has prominent room “nodes” (that is, resonant low-end frequencies that often occur in untreated rooms), you will roll off bass to compensate, which will make your master notably thin and lacking in punch. Always invest in the most sonically neutral speakers you can afford and be sure to install at least some basic acoustic treatments (such as bass traps, diffusors, etc.) in your room. A number of bands will be provided, each of which can be set to a different frequency. Within each band, you can adjust the gain in order to boost or cut the selected frequency area. The highest and lowest bands can also usually be used for shelving; that is, they can roll off frequencies above or below, in which case they act as a low-pass or high-pass filter, respectively. Shelving bands will offer a slope control, allowing you to adjust the gradient (gentle or steep) at which the gain rolls off. In addition, most EQ plugins are parametric, meaning that they also provide a width, or “Q” control to narrow or widen the frequency area being affected. However, because every process interacts with every other one (and because each tends to color the signal somewhat), it’s a good idea to have all the plugins you plan to use inserted and active while tweaking the EQ. That way, you can hear the results in context. A reduction in the energy of a frequency band – that is, subtractive equalization – is generally more pleasing to the ear than a boost. In fact, if your goal is to increase one particular frequency area, it can often be more effective to instead cut (attenuate) the frequencies around, under, or above that band. If you turn down the lows, it will sound as if you’ve turned up the mids and highs; conversely, if you reduce just the highs, the mix can appear to have more low end. Mastering is all about subtlety. Professional mastering engineers rarely cut or boost any frequency area by more than 1.5 dB. They understand that even a slight change can have a big impact on the resulting audio. You should follow the same principle. Work in increments of half a dB or less (0.25 dB is ideal) and listen carefully to how your tweaks – which in some cases can be felt more than heard – affect the overall sound. Mixing and mastering engineer Yoad Nevo (Sia, Pet Shop Boys) says flatly, “If you have to EQ more than 2 or 3 dB, then you’re probably doing something wrong.” Or it may be an indication that there’s a problem with the mix; if so, you should remix with the frequency problem areas in mind. The first step in every mastering session is to listen. Close your eyes and just listen. Begin by focusing on the overall frequency spectrum. Is there a relative balance between lows (i.e., bass and kick drum), mids (vocals, guitars, keyboards), and highs (high-hat, cymbals, percussion)? Is the mix thick and muddy, or is it thin and anemic? Is it boomy, or toppy? Is there good definition between instruments – that is, can you clearly discern between guitars, keyboards, and the vocal? These are all problems that can be addressed in mastering. Most of the elements in a mix – including delays and reverbs – wander into the midrange areas. (Even the kick drum can go right up into the high mids.) Muddiness is generally caused by an excess of energy that area, so to combat it, try attenuating the low-mids in the 150–350 Hz range. This is a trick that opens up space because it allows more of the high-mids to get through. That’s the beauty of subtractive EQ: cutting one frequency area allows an adjacent area to be better heard. This occurs when a mix is lacking in midrange frequencies, as compared to the highs and lows. The solution is a gentle boost in the 500 Hz area. Don’t go too far, though, or everything will start sounding boxy and artificial. Other ways of combatting thinness are to use a classic analog EQ (or a plugin modeled on one; see Tip #9 below), a tape emulator such as Kramer Master Tape, or a bass enhancement plugin like MaxxBass. Roll off some 100–150 Hz. Try an EQ cut around 3–8 kHz. Another approach is to boost the low end slightly, which has the psychoacoustic effect of blunting the high end somewhat, even though the high frequencies haven’t actually been reduced. While all of the EQ changes described above can be made with pretty much any equalizer plugin, you might consider the use of a linear phase plugin such as the one described by Mr. Ludwig. These utilize advanced technology that enables the signal to pass through all bands at the same speed, resulting in greater transparency and zero phase issues, as opposed to traditional equalizers which cause some “smearing” of the sound due to minute delays in the bands being cut or boosted. (a) Choose the approximate frequency band in your equalizer plugin and set a narrow width (“Q”). (c) Use the frequency control to sweep up and down as you listen closely. (d) When you hear the problem frequency become noticeably louder, narrow the Q some more and continue sweeping until the sound is at its loudest. Once you’ve identified the offending frequency or frequencies, try applying a small notch-like reduction. Make this cut in small increments (half a dB at a time or less) until the resonance is sufficiently reduced but without affecting the overall musical content. This is particularly important, since you never want to make any EQ changes that will negatively impact on the mix. The goal here is to help, not hinder! If problem frequencies only occur in certain isolated sections of the song, you might consider suppressing them with the use of a dynamic EQ like the F6. These kinds of plugins apply controlled amounts of compression to reduce specific frequency areas, kicking in only when the level exceeds a user-specified threshold and thus giving you full control over when and to what degree those frequencies will be attenuated. One step that many mastering engineers take as a matter of course is to set the lowest (shelving) band of their equalizer to act as a high-pass filter by rolling off frequencies below 30–40 Hz, with a gentle slope of 6 dB or less to avoid phasing problems. This can act as a preventative measure if there is a lot of rumble or subsonic activity in the mix (something which the mixing engineer might not have been able to detect if there was no subwoofer in use) and can also tighten up the remaining bass – plus it may give you a little extra headroom to work with, which is never a bad thing. However, this should be done with caution (and possibly shouldn’t be done at all in bass-heavy genres such as EDM) since you can sometimes lose the impact of the kick drum this way. As described in Tip #6 above, traditional (that is, non-linear) equalizers can cause a phase anomaly known as “smearing,” especially when multiple bands are being cut or boosted. However, in many cases you may actually want that sound; after all, the vintage analog EQs that people revere today smeared the phase too. Sometimes a little analog-like warmth can do wonders to add color to your mix. For that reason, you may want to add a second EQ plugin to your chain, devoted mainly to adding “character” to the mix. “The PuigTec EQP-1A, much like the hardware it emulates, has the uncanny ability to impart warmth and and presence just by the act of turning it on and passing audio through it,” says Red Hot Chili Peppers mastering engineer Drew Lavyne. (You can download Drew’s customized mastering presets for the PuigTec EQs here.) Other Waves plugins that provide analog EQ emulation include the H-EQ and the V-Series EQs. If you don’t want to go that route, you can often get good results by using both linear phase and standard equalizers together – for example, you might use a standard EQ plugin to color the low end and low-mids, and then follow it with a more surgically precise linear phase plugin to tweak the mid, upper midrange and high end. If you’re looking to bring out specific elements of a mix, try using an EQ plugin that offers mid/side (MS) processing, like the F6 or H-EQ. These powerful tools allow you to separate out those parts panned dead center (i.e., the lead vocal, kick drum, snare drum, and perhaps one or two other components) from those panned off to the sides (i.e., everything else). For example, by simply boosting a relatively small area of midrange frequencies in the center channel, you can effectively raise the level of vocals. Widen the stereo image: Add a touch of high shelving at 8 kHz or higher. Reduce muddiness and tighten up the overall sound: Add some low shelving at 200 Hz or lower. Tighten up just the low end: Reduce frequencies below 75 Hz. Add more definition to vocals: Make a slight cut in the 500–1000 Hz range. Give the mix an increased sense of space: Boost the frequencies below 600–650 Hz with a low shelf. Hopefully these tips will give you a greater sense of the power of equalization in mastering. Now go out and craft some great tracks! For more mastering advice, check out these 8 tips on applying compression during mastering.